School is almost over. Three more days, but most importantly, zero more Mondays. I am about to complete my 15th year in the classroom, and in that time, I've noticed that three things in education have remained consistent through the years (for me, anyway). 1. Nothing ever stays the same. The bureaucrats love shaking things up, and if we don't roll with it, we get bitter and burned out. 2. The school year speeds along until the last six weeks. Then time slows to a sputter, and we limp along in slow motion until that last joyous, bittersweet day. 3. Mondays are always the worst. The WORST. ALWAYS. I've been counting down those last, limping six weeks by looking at the positive side of #1. Many people I work with are shaking their heads and feeling overwhelmed about going 1:1 next school year. I completely sympathize. I felt the same way when I learned of the impending technological changes. You finally get comfortable with something, and then the proverbial rug is pulled out from under, and you have to start all over again. And again. So I decided to get a head-start and do a 1:1 test run in my classes this past semester. I'm glad I did. I feel much more confident with the new set-up, and I've learned that this can actually make my job easier and increase student engagement. I've written about this for the past six weeks. 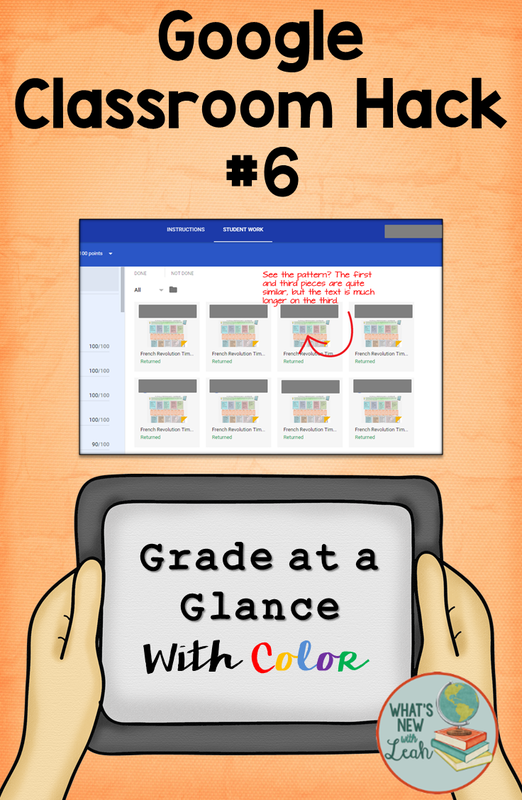 You can check out my Google Classroom Hacks here: Grade at a Glance with Color, Monitor Student Work in Real Time, Send out Reminders in a Flash, Formative Assessment with Forms, and Collaborative Review With Slides. Another concern many of us have is that going 1:1 will sap student creativity, but I've found that's not the case. 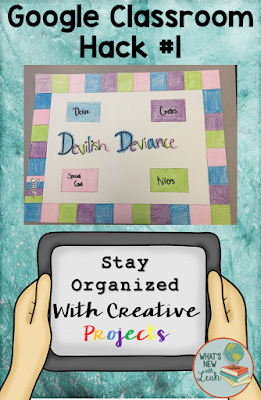 You can still give students options, allow them to be creative, and blend your classroom (a digital and a traditional hybrid). In the past, I've liked to engage my students in open-ended projects to close out the semester. This semester is no different, except for one thing--it will be easier for me to keep track of their projects. Easier because we're using Google Classroom. My students and I had a discussion about what the project should be and what the requirements would be. We decided on a presentation. Some of them wanted to do a basic Google Slides Presentation. Others wanted to write an essay. Others wanted to create a game. One particularly artistic student wanted to do a series of pictures with captions. "Fine," I said. "But we need direction and guidelines." Boring, boring me. They spouted off ideas, and I jotted them on the good old-fashioned whiteboard. I had a student type the suggestions into Classroom. I then instructed the students to think about it that night and if they came up with anymore ideas, to leave them in the comment stream. 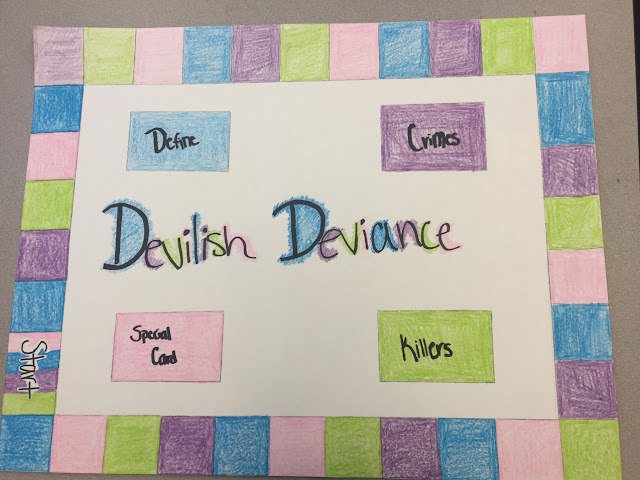 The next day, we discussed what they had come up with and used those ideas to create guidelines. 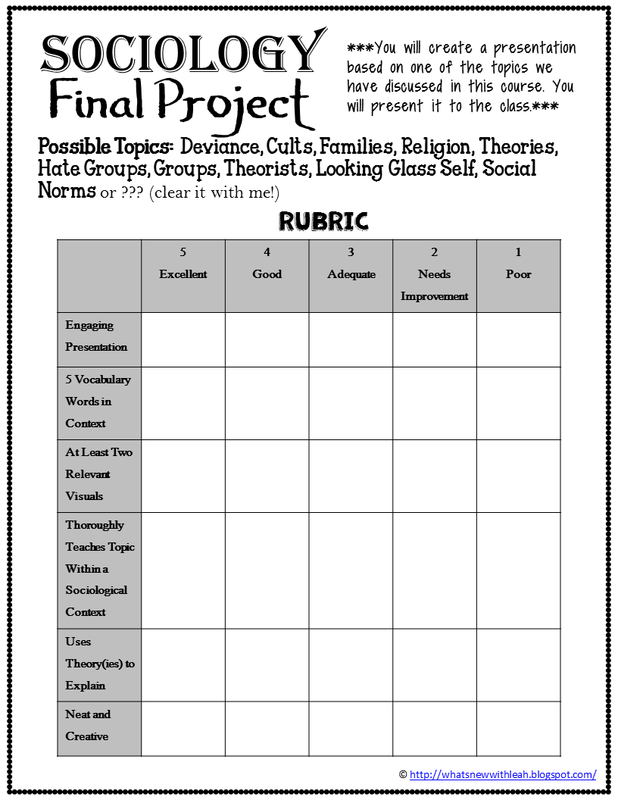 We used those guidelines to create a rubric. This is what we came up with. Grab it HERE for free. I check and then leave comments in the blank boxes. 1. Students felt ownership of the project's genesis, and, therefore, were excited about it (a REALLY big deal, as any teacher knows). 2. It got them thinking about it and gave students who may have struggled to come up with ideas, well, ideas. Now, how will Google Classroom help this unfortunately unorganized teacher stay organized? They are presenting to the class. If they do a Slides or Google Drawings (more on this later, I promise) presentation, they "turn it in" right in the assignment box I created for it in Classroom. If it's pencil and paper drawings or an original board game, they take a picture of it and submit it there, as well (find out how to do that HERE). Here's a board game that one of my students is working on--it has cards to go with it, and I'll have those, but this picture will be in Classroom to remind me of what she did. I have everything all in one place. No more searching through piles of projects to refresh my memory when I'm going back and leaving comments and assigning grades from the presentations. These projects are not due until the end of the week, but so far, so good. The students are engaged during this, the LAST week of school. 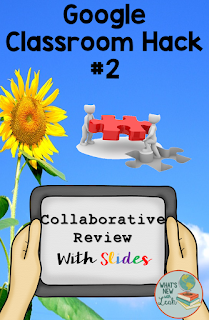 How do you handle open-ended projects in a blended classroom? Do you think this could work for your classes? Leave a comment below to let me know! Read the last hack in this series--CLICK HERE. One more week and four days for us. 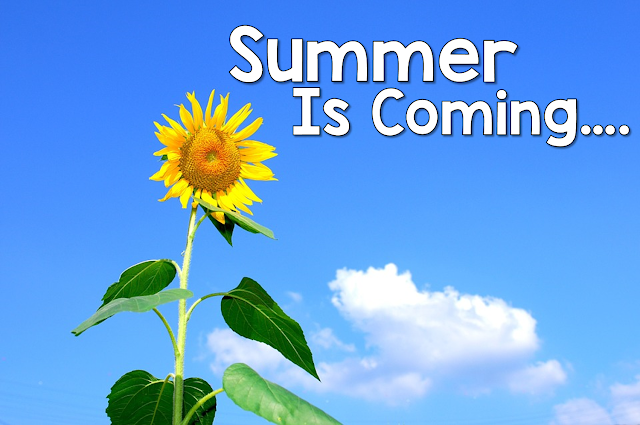 I've been counting down to summer with Google Classroom Hacks that make our lives easier. There's so much to learn about Google Classroom--too much to decide sometimes. 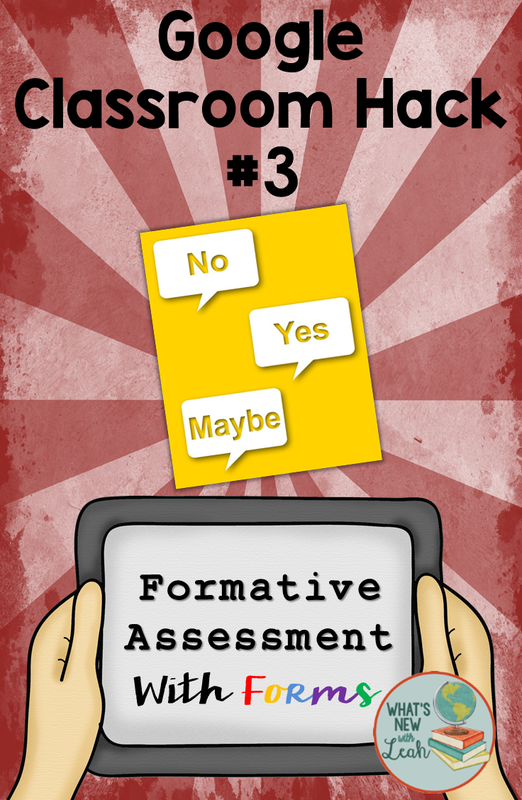 I've discussed grading at a glance with color, monitoring student work in real time, sending out quick reminders, and formative assessment with forms. But this week there was absolutely no trouble deciding what to discuss. My students' minds have already checked into the beach resorts in exotic Panama City (Florida, of course), and only I can see the dark clouds of final exams looming on the horizon. They've had their alphabet soup of state exams, and they are finished. On top of that, our county's policy is that final exams are to count 20% of their overall grade. Testing, testing, and more testing, oh, my. There is a faint ray of sunlight shining through those gray, gray clouds, however, and that's the way we choose to review. My students are over lecture, so I'm not attempting that. They love games, but they can't approach them dry--they need review. 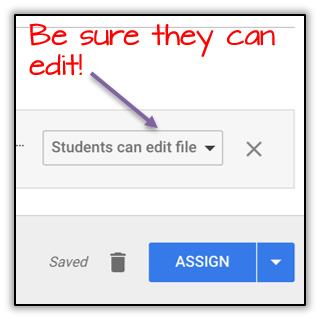 In Google Drive, you can generate a Slides presentation, and assign it to the class so that "everybody can edit." Assign each student, group, or pair a section of the curriculum to present and have them create a slide. 1. 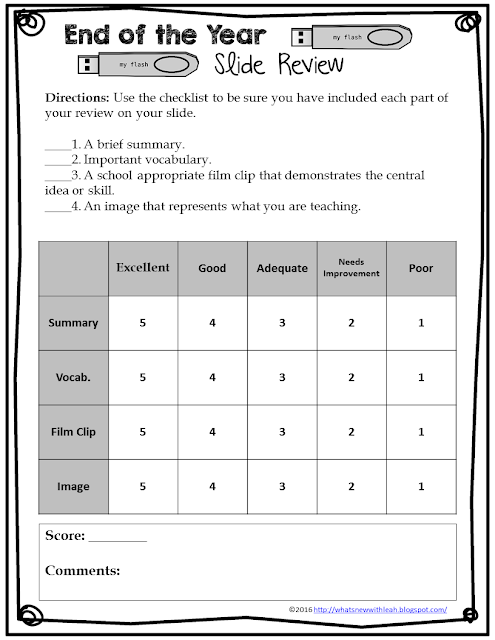 Create a rubric and checklist so that students know what you expect. 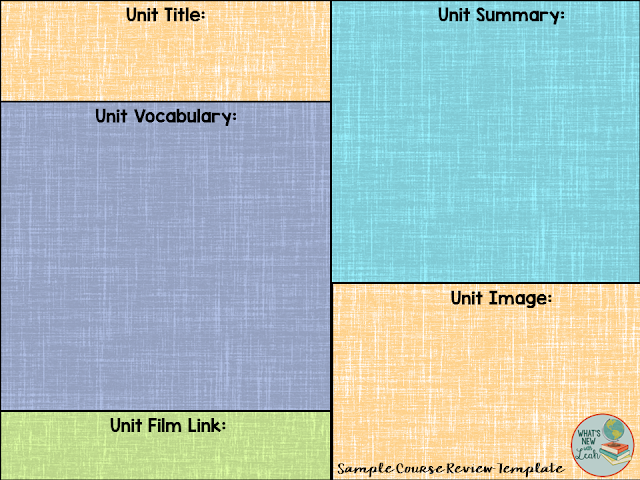 Since I teach heavy content courses, I divide the individual assignments into units and give each pair a unit to complete. 2. Generate a slide template for students to use. 3. Assign it in Google Classroom so that "everyone can edit." 4. Schedule a day for everyone to share their slide as students take notes. I made a template for student notes so that they have a guide. The note template mirrors the Slides template, but they of course can just use notebook paper. 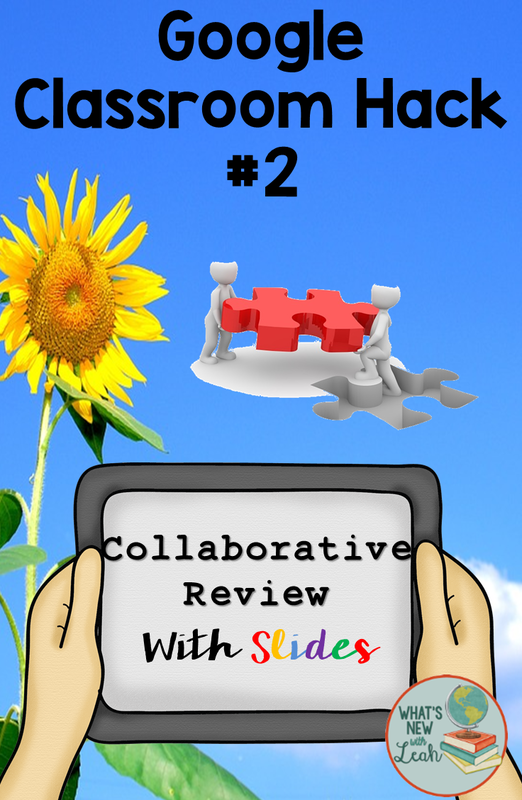 This activity combines technology with collaboration and refreshes students' memories. I do it by unit in my courses, but it can also be done by skill for courses such as math and English. Read the next hack in this series--CLICK HERE. We are down to three more weeks of school here in my neck of the woods. And only two more Mondays. This is a happy, happy time. It is also a crazy, crazy time as everyone loses focus. I am doing what I can to keep going strong, and in honor of that, I am counting down the weeks with Google Classroom Hacks. Those helpful tips that I am discovering along the way about the digital classroom in an effort to remain productive and focused until the bitter end. Check out Hacks 6, 5, and 4 by clicking on the numbers. I would never do this everyday because it takes extra prep to set up. And I have my Tickets out the Door that I use daily because they are zero prep. However, occasionally, I use this hack to get some really specific feedback on an important concept. I like that you can edit forms to make students go to different questions automatically depending on their answer to a previous question. If they get one wrong, for example, they can go to a section that reteaches the concept, asks them if they "got it," and then goes back to the question they missed. If they get it correct, they can go on to the next question. 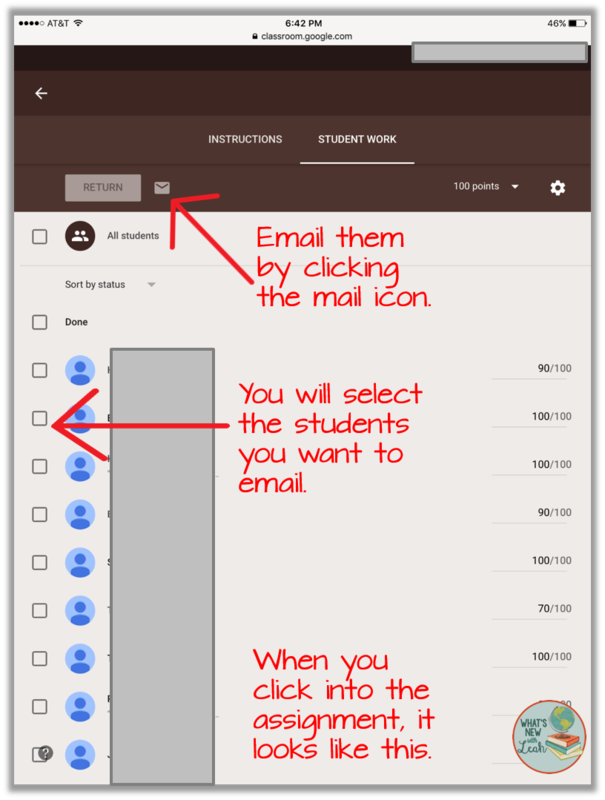 There are so many more ways to use Forms in Google Classroom, but I love this one because it reteaches, and they can't submit until they get everything right. How do you use forms in your class? Leave a comment below to let me know. And be sure to check back next week for Google Classroom Hack #2. Read the next hack in the series--CLICK HERE. Three more Mondays in the school year after today, and I am excited! I'm also losing focus. I find myself wanting to hit snooze just one (or five) more times. Game of Thrones is whispering my name in dulcet tones when I should be grading papers. It is still light at 7:30 P.M., making that novel on the back porch irresistible. The point is--here at the end of the school year, I'm struggling to stay focused. If I feel this way, imagine how my students feel. 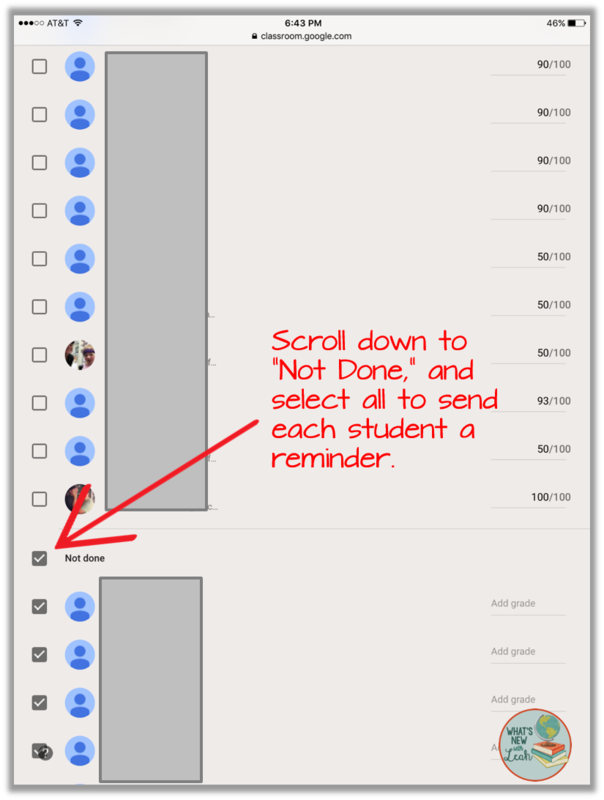 The number of "not done" tasks in Google Classroom let me know this--those guys are done. So in an effort to keep us all motivated right up until the end, I'm blogging about Google Classroom Hacks right up until the end. 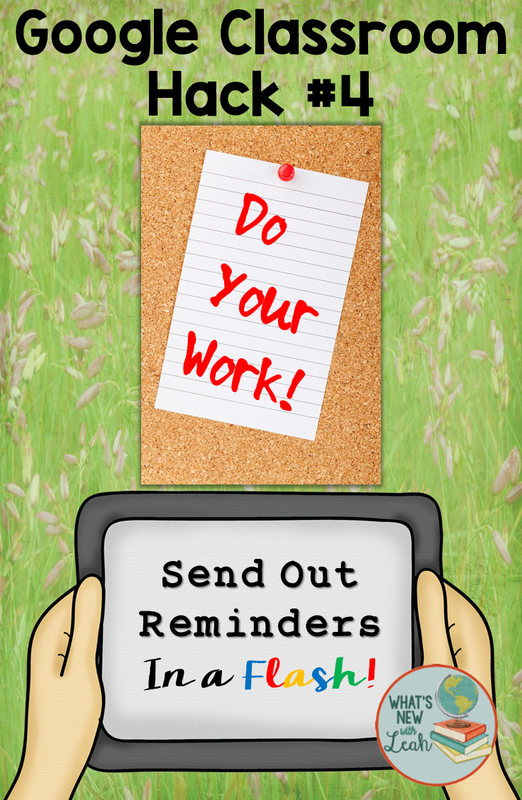 You know, those easy tricks that serve the dual purpose of making our lives easier while reminding our students (and us) that we are still accountable. Many of us already know that we can email students through Google Classroom by clicking on "Students" and selecting who we want to email (no more generating lengthy email lists for this purpose--thank you, Google). 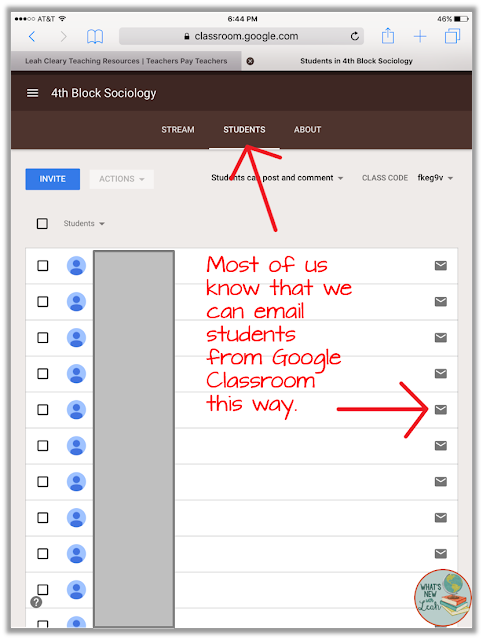 But did you know that you can click on an assignment in Google Classroom and select entire groups of students to email? Either those in the "Done" category or the "Not Done" category (does the terminology there bother any other ELA teachers?). 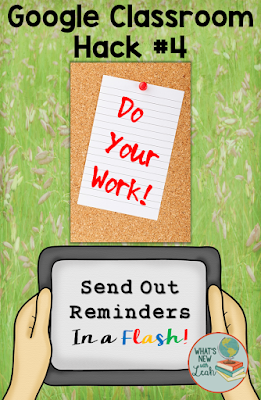 Send all of the "Not Done" students a reminder to finish. Perhaps even ask if they need additional help or clarification. You can even offer all of the "Done" students a reward occasionally. It could be something as simple as a few points extra credit or ten minutes of game, puzzle, or reading time (depending on what they enjoy). It will most often be a "Great Job--You Rock" email. I have no problem giving them an extra bathroom pass or a homework pass very occasionally. It's important to let them know that you appreciate their hard work as well as that they are still accountable right up to the bitter end. Give this a try, and let me know how this works for you. Or maybe you already do this and can offer more ideas. Either way, leave a comment below, and be sure to check back in next Monday for Google Classroom Hack #3.